One of my favourite things to wear when the weather is a little warm are ripped jeans. Nothing says urban fashionista better than a pair of ripped jeans paired with a leather bomber and some high heels. 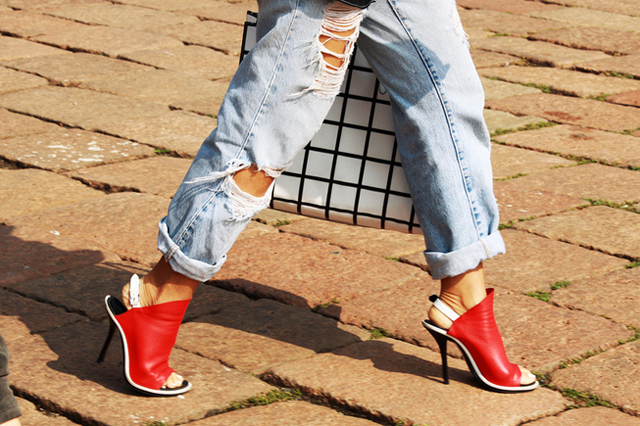 To make your ripped jeans a little more chic, just add a pair of heels like these fashionable street stylers. 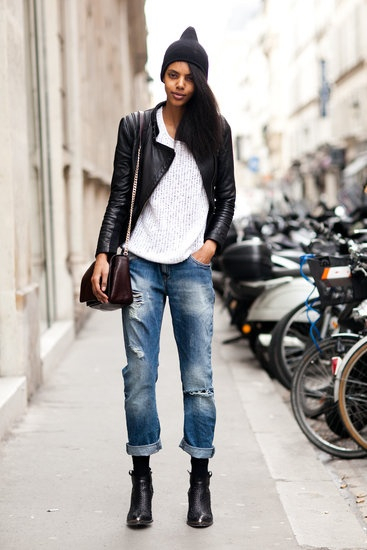 Make your ripped jeans a little edgy by pairing them with a leather jacket or blazer. Or keep your look casual by wearing leather moto boots, trainers or laced up Oxford. Don’t forget the denim skirt! When worn right a denim skirt in my opinion is a staple and should be in every woman’s wardrobe. This Summer I will be pearing my ripped skinny jeans with high heeled sandals, when I’m hitting the town at night. And matching them with my multi-coloured vans and a plain white t-shirt when I’m just relaxing with friends in the day-time.